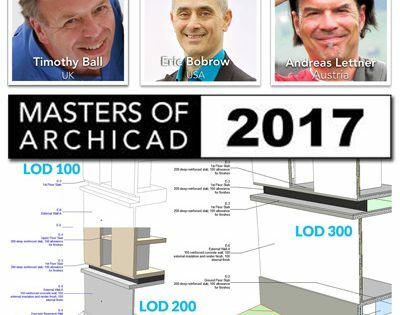 As the MASTERS of ARCHICAD 2017 program gets closer to the launch date of July 12, we’re going to use this blog on the Masters of ARCHICAD website to make announcements, share updated info and and progress reports. Tim Ball and Andreas Lettner and I have been in active discussions for many months planning the project. Initially, I had thought we would run two separate courses for Advanced Modeling and Quantity Takeoffs, however it became clear early on that a much more ambitious agenda would allow us to cover more essential aspects of ARCHICAD workflow and best practices. Andreas volunteered to adapt one of his projects, a 60+ room hotel on an Austrian hillside, as the basis for the design. We decided to run an extended course with two live webinars per month over an 8 month period, and develop the project from early concept through working drawings, while maintaining BIM data (including quantities, costing, specifications, and consultant coordination) throughout the lifecycle. 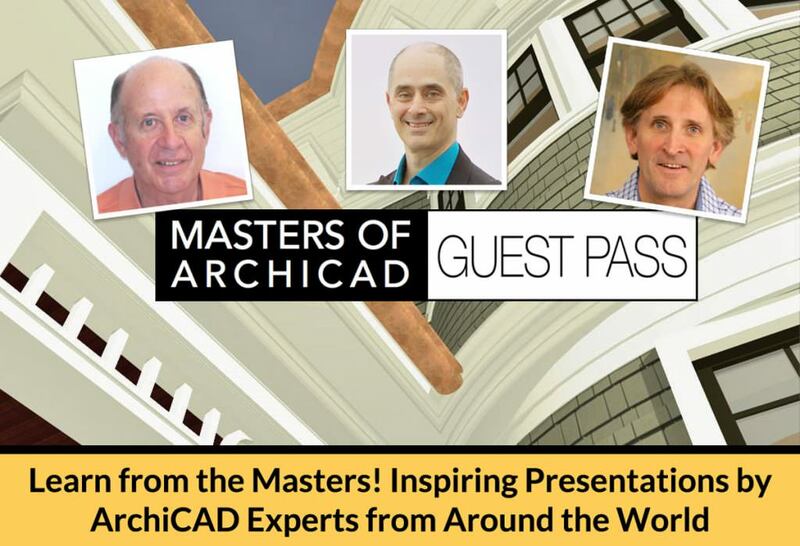 We decided to wait until ARCHICAD 21 was released so that we could take full advantage of Graphisoft’s exciting new upgrade and demonstrate and explore the latest methods and options. Their innovative technology for stairs and railings, as well as many of the subtle optimizations “under the hood” and in the interface, will allow all of us to get more work done more easily. Tim shared with us his organizational structure for project attributes and navigator structure that integrates work phases into the naming system for Layers, Building Materials, Fills, Views and Layouts, simplifying selection and manipulation. Andreas and I agreed that this would provide an intuitive and sound framework for our training, and have been working with Tim to incorporate it into the project files. We’re building into the curriculum a deliberate approach to increasing the “Level Of Detail” from LOD 100 to LOD 200 to LOD 300 and beyond. Understanding and optimizing the LOD in a systematic fashion for each phase can streamline your efforts, while allowing design decisions to be leveraged throughout the project lifecycle. Both Andreas and Tim are practitioners (designing buildings and getting them constructed) and teachers who bring unique perspective to this project, and I am delighted to be working with them. Look for more info and updates on a regular basis on this website. 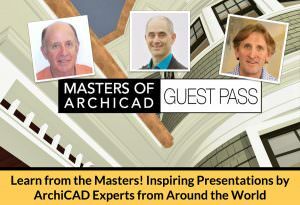 I encourage you to join us on this journey – use this link to sign up for the MASTERS of ARCHICAD 2017 program!